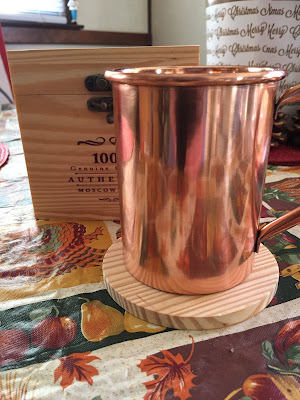 Maria's Space: My 100% Copper Mule Mug is HOT! 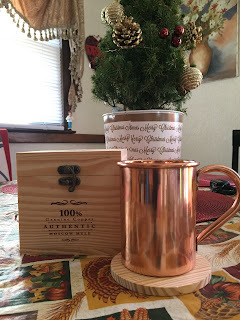 My 100% Copper Mule Mug is HOT! This Moscow Mule Copper is a gorgeous of craftsmanship. I love everything about it. 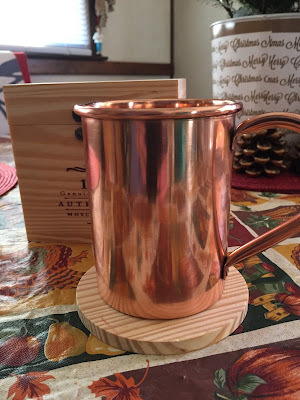 Really impressed with the mug, the coaster and the box which my daughter and I fought over. 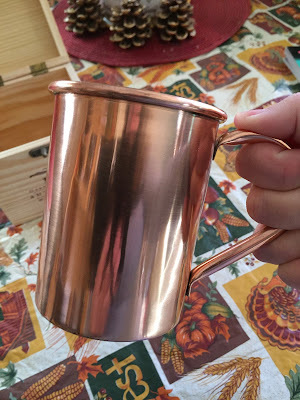 The mug is a perfect 16 oz. The handle is attached to the outside of the mug securely. 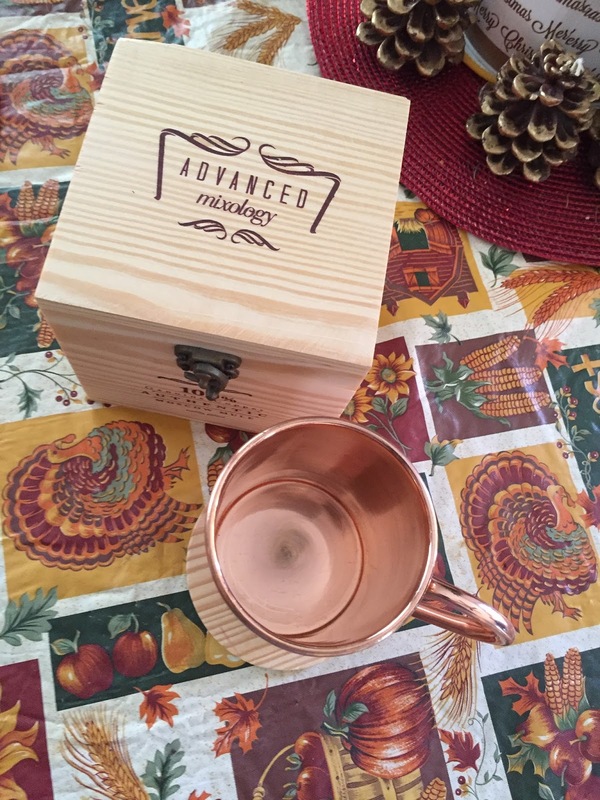 As if the mug wasn't enough, the packaging is incredible. 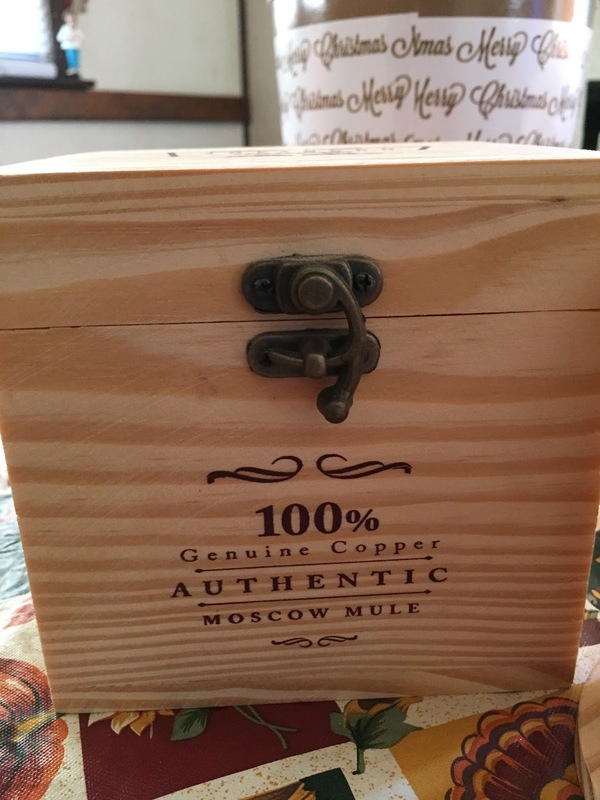 The mug and a coaster come in a wooden box with a wonderful clasp that makes it look antique. The box is wrapped in plastic and once you open it that is where you will find the mug which is wrapped in paper, plastic and then bubble wrap. The coaster is wrapped in paper. All is well protected for shipping. Honestly, this is a nice gift for just about anyone. 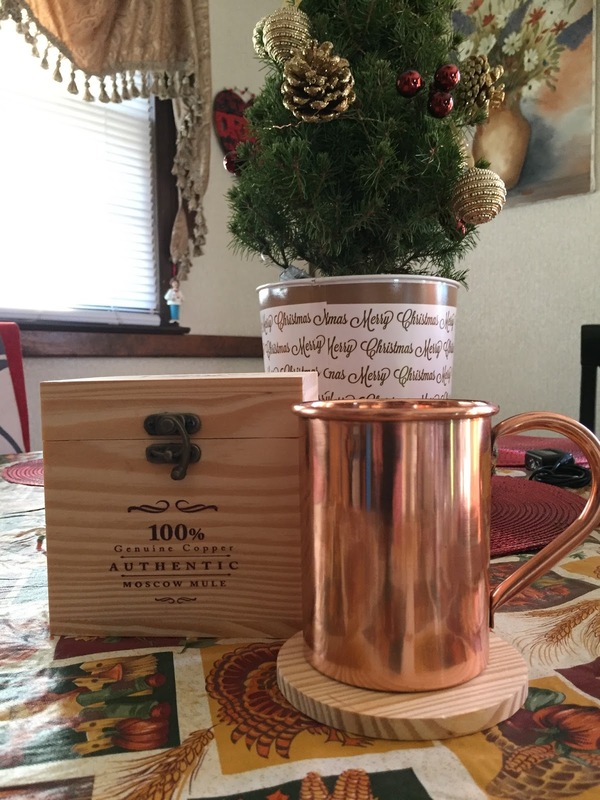 I am keeping this one for myself and getting my grandfather one because I think he will love the whole idea of the packaging and the beautiful 100% copper cup. The box can be used to hold all kids of things depending on who is using. I am keeping my Christmas money in it but I believe Gramps will use his for his glasses. I know it seems like I am reviewing the box but it really adds to the presentation of the mug which is quickly becoming a favorite in my house.